Scientific articles, white papers, and web resources that may be helpful in understanding climate issues and related topics, are collected here. Always consider the source and whether there may be any basis for bias, even unintended. Suggestions forsuggestions and contributions.
. . . and lots more. There is so much information about climate change out there. 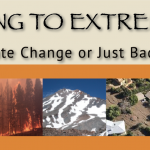 Here we provide you with some resources to help you better understand climate change. NASA: The National Aeronautics and Space Administration provides a website that includes Facts about climate change including information on evidence, causes, effects, and consensus. The consensus tab includes statements on climate change from 18 major scientific associations in the United States. Skeptical Science provides answers to many of the most common myths and misunderstandings about climate change. GlobalChange.gov links to the U.S. National Climate Assessment, which summarizes climate change in the United States every four years. It is also is a clearinghouse for all climate change research by the U.S. Government. NOAA’s Climate.gov: This resource provides science and information for a climate-smart nation. Americans’ health, security, and economic well-being are closely linked to climate and weather. People want and need information to help them make decisions on how to manage climate-related risks and opportunities they face. NOAA Climate.gov is a source of timely and authoritative scientific data and information about climate. The Intergovernmental Panel on Climate Change (IPCC) is the leading international body for the assessment of climate change. Established by the United Nations Environment Programme (UNEP) and the World Meteorological Organization (WMO) in 1988, it provides the world with a clear scientific view on the current state of knowledge in climate change and its potential environmental and socio-economic impacts. Thousands of scientists from all over the world contribute to the work of the IPCC on a voluntary basis. What We Know: Based on the evidence, about 97% of climate experts have concluded that human-caused climate change is happening. What We Know helps us understand the science behind the realities, risks and response to the climate challenge. Climate Communication has resources about the science, impacts and what we can do about it. Woods Hole Oceanographic Institute (WHOI) is comprised of scientists and engineers are committed to understanding all facets of the ocean as well as its complex connections with Earth’s atmosphere, land, ice, seafloor, and life—including humanity. Its website provides a lot of information about the ocean. Ocean Media Institute OMI works in collaboration with organizations, academic institutions, aquaria, and museums across the globe to create and distribute media that promotes ocean science and conservation. Life on Terra is the award-winning sci­ence and nat­ural his­tory pod­cast series that explores the natural connections that propel life on Earth. It distributes independently produced science, nature, cultural, and environmental films. We are proud to bring you these unique stories from around the globe that celebrate the wonders of the natural world. Nuclear: The potential risks and benefits of nuclear energy has been controversial. It could play a crucial role in preventing the increase of GHGs in the atmosphere. Read about the promise of the latest technology and the scientists and engineers that seek to provide technology and processes that can minimize associated risks. For Nuclear Energy articles click here. Coal Train Facts: An archive of facts about the proposal to develop a coal export facility at Cherry Point in Whatcom County, WA. 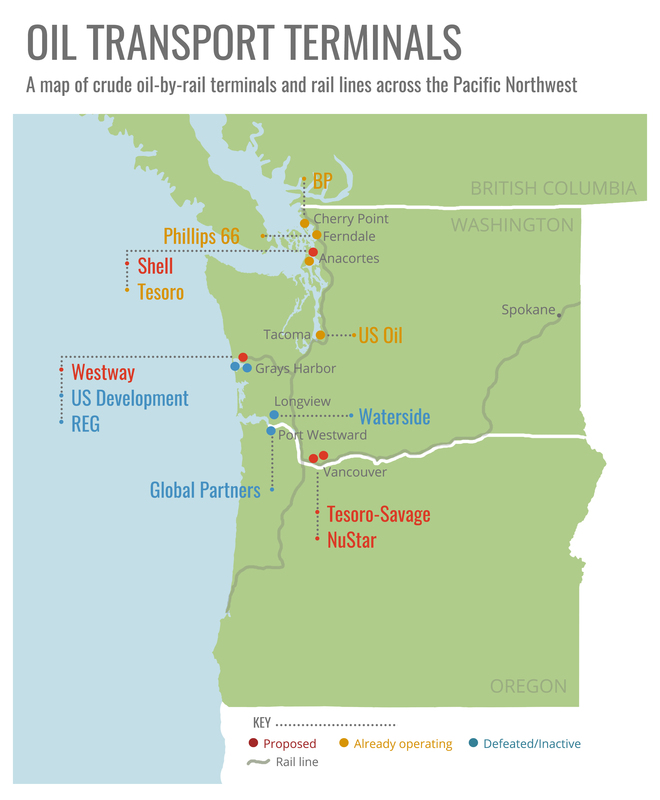 Oil Exports in Pacific Northwest: This Stand Up to Oil site provides information and a clear map of where the past, current, and proposed oil terminals are in the Northwest, along with helpful background information. The Earth Policy Institute‘s Climate Change Fact Sheet. See their website at: Earth Policy Institute. The Climate Institute: The first environmental organization on Earth focused on climate protection seeks to provide objective and comprehensive information on climate change risks and potential responses. 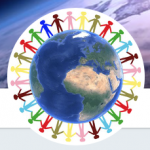 Their site provides many valuable links on climate solutions and other topics. The Climate Impacts Group at the University of Washington: Climate Change Impact on the Pacific Northwest: The Climate Impacts Group (CIG), part of the UW College of the Environment, engages in climate science in the public interest, working to understand the consequences of climate variability and climate change for the US Pacific Northwest (PNW). CIG’s unique focus is on the intersection of climate science and public policy – performing basic research aimed at understanding the consequences of climate fluctuations for the PNW, and promoting application of this information in regional decisions. CIG works to provide regional planners, decision makers, and natural resource managers with valuable knowledge about the ways in which crucial regional resources are vulnerable to changes in climate, and how this vulnerability could best be reduced. Contact their Outreach Team at cig@uw.edu. EcoAffect for EcoClimate Communications Professionals provides research and guidance on the effective communication on climate change. EcoAffect is provided by EcoAmerica a nonprofit that believes we can join across our differences to solve the biggest problem that affects us all: climate change.